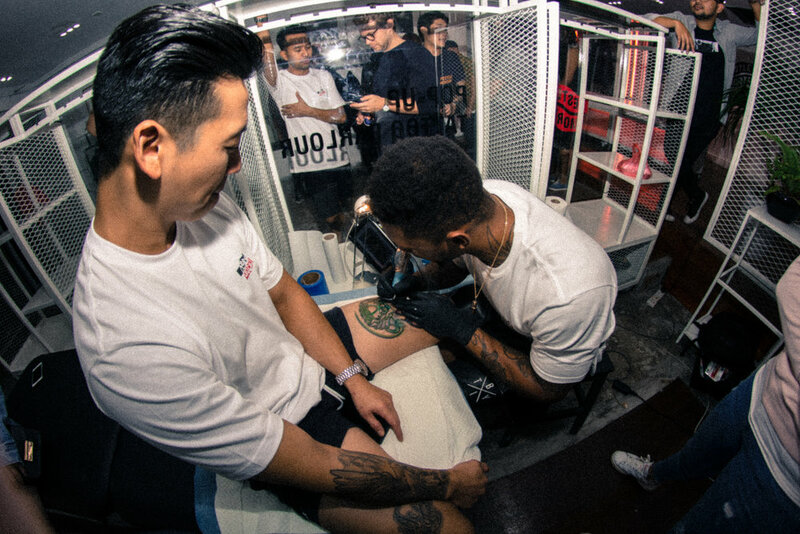 In the summer of 2017, NYC based tattoo artist and TV personality, Richard “Made Rich” Parker, connected with the Malaysian based clothing company, Pestle and Mortar Clothing to create a two-look, 4 piece exclusive clothing capsule. Rich and the PMC design team curated a capsule that expressed the unique artistic style of the NYC based artist, combined with the traditional and historical artistic tendencies from Malaysian heritage. This 4-piece, two look capsule, was the canvas in which Rich and PMC expressed their creativity. On July 1st, 2017, the Made Rich x PMC capsule was launched in the PMC Kuala Lumpur flagship store. An intimate setting, the guest list comprised of 100 micro-influencers and local press staffers. 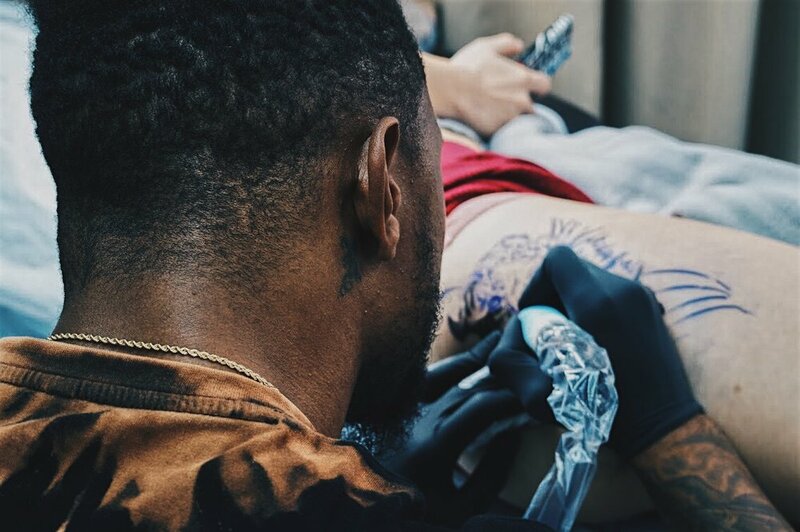 Preceding the release, Rich arrived in Kuala Lumpur 3 days prior to conduct a local press run and to tattoo as a celebrity guest at Shipwreck Tattoos, a local tattoo parlor known for their pristine line work and first class American-traditional tattoos. During the launch, Rich performed throughout the evening, serving as a live installation center piece. Guests were able to view and purchase pieces from the capsule as well as interact with Rich and his marketing team. The capsule sold out 4 days after the initial launch.